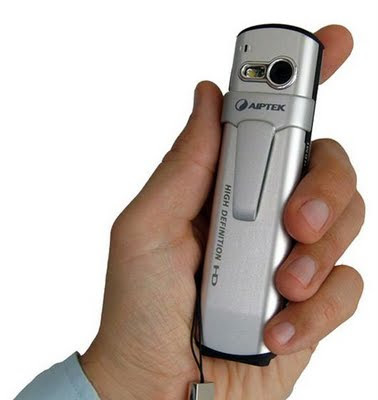 Looks like Aiptek is trying to put an entire movie production and screening system in people’s pockets. 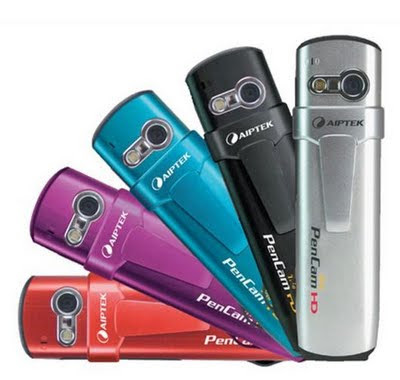 Complementing its new range of pocket-sized pico projectors at IFA 2009 was the PenCam Trio HD, an ultra-slim camera that boasts 1280 x 720p HD video resolution, 5MP still image resolution, and a dictaphone function for recording audio. 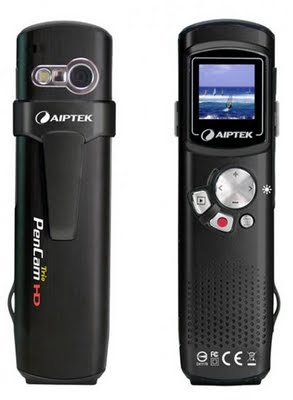 The Aiptek PenCam Trio HD is due in stores at the end of September priced at EUR€129 (approx. USD$187 at time of publication).